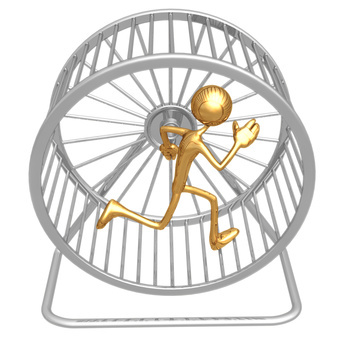 Are You a Prisoner of the Performance Trap? Do you ever feel like no matter how hard you try, it’s never enough? That even when you do your very best, it still isn’t good enough? These thoughts lead to feelings of discouragement, frustration, even despair. Sound familiar at all? I would guess most if not all of us would say “Yes!” One of the most common struggles we face as human beings centers around issues of performance. This is one example of what I wrote about in an earlier post, Are Toxic Beliefs Derailing Your Destiny? Posted on August 2, 2015 November 10, 2016 Categories Christian life, HealingTags acceptance, approval, lies, people-pleasing, perfectionism, performance, toxic thinkingLeave a comment on Are You a Prisoner of the Performance Trap? No matter how good or godly our parents were, or we may be, we were all born into sin and are flawed as a result. Generational sins, as described in Exodus 20:4 affect us all until we learn how to get free from them (a topic for another blog post!). Performance, perfectionism, striving and people-pleasing are all symptoms of this root of rejection. This toxic thinking causes us to strive to achieve, to earn acceptance from others through various means, to become a human “doing” rather than a human being. We just can’t seem to do enough, or do it well enough. 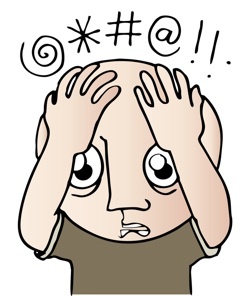 When our efforts don’t achieve the results we expect, we become offended, angry, frustrated, depressed, etc. Often we blame ourselves, thinking that if we could only do it better, we would gain the acceptance and approval we long for. So we keep trying over and over, with each new person we meet, or each new situation we face. This destructive cycle typically leaves a trail of broken relationships in its path. Many believers give in to hopelessness, disillusionment with their faith, and their inability to “fix” the problem. Or we may blame God and harbor anger and disappointment in our hearts toward Him. If you can relate to this pattern of thinking and behaving, there is good news – you can get free! The first step is to recognize that you have believed a lie that you don’t measure up, aren’t good enough, and/or can never meet the standard. We unknowingly believe lies because they feel true, based on our circumstances and life experiences. Some lies, such as this one, have a measure of truth in them. According to God’s Word, none of us measured up to His standard (Rom. 3:23). His standard is the only one we are expected to meet, yet none of us could. But the good news is that He made provision for us through His Son. Jesus met God’s standard of perfection for us, freely giving us His righteousness in place of our sin. Because He met God’s standard for us, we can rest in His finished work on the cross! We no longer have to earn acceptance for we are completely accepted in and through Him. We don’t have to strive to achieve because He did what we could never do. Plus, He has given us His Spirit to empower us to do what we cannot do in our own strength. It is essential that we forgive those who communicated this lie to us – parents, grandparents, teachers, coaches, spiritual leaders, etc. And we must forgive ourselves for believing this lie and living it out in our lives. We should also repent, asking God to forgive us and receiving His forgiveness. His acceptance, love, and approval of us alone can satisfy our deepest longings. When we become secure in His love, we won’t need to continually receive approval from others. Have you been a prisoner of the performance trap? How do you plan to get free? Comment below. Posted on May 18, 2014 November 23, 2014 Categories Christian life, HealingTags acceptance, approval, lies, measure up, people-pleasing, perfectionism, performance, toxic thinking3 Comments on Are You a Prisoner of the Performance Trap? Are Toxic Beliefs Derailing Your Destiny? As a young believer, I often listened to Joyce Meyer on the radio during my daily drive to take our kids to our church’s Mother’s Morning Out program. I can still remember her saying one day, “Do you ever stop and think about what you’re thinking about?” and my first thought was, “No, I don’t!” Then I wondered if it even mattered, and if so, why. I was genuinely perplexed! Your beliefs and thoughts greatly affect your destiny by determining your choices, or actions. What you do is always the result of what you believe. I’m not talking about “head knowledge,” which is facts or information we may believe or agree with. I’m referring to the core beliefs that we hold deep in our hearts and may be totally unaware of. These beliefs often surface when a circumstance triggers a reaction that catches us completely off guard. Have you ever experienced that? Maybe one day your best friend makes a comment that your new outfit is a little snug around the middle. Suddenly without thinking, you get upset and offended, accusing her of calling you fat! And for the sake of this hypothetical example, let’s say you struggled with your weight as a teen and had a mom who made similar comments far too often, though her sincere intent was to try to help you. This is just one (though not particularly good) example of how core beliefs are triggered. In His mercy, God allows these situations in order to show us areas that need healing in our minds. He understands our frailty and gave us a way to get free from toxic thinking – Romans 12:2 says, “Do not conform any longer to the pattern of this world, but be transformed by the renewing of your mind.” The word transformed is the Greek root of our word, metamorphosis – the transformation of a caterpillar into a butterfly. It is a beautiful word picture of the radical change that takes place when we make the effort to renew our thoughts and beliefs. In the natural, a caterpillar is bound to the earth, crawling along the ground or on plants and bushes. As the butterfly emerges from the cocoon it no longer resembles its former self in any way; it is a totally new and different creature. Free to now soar above the earth, it has a completely new perspective – a heavenly one. This is an amazing picture of what happens to us and our thinking when we make the choice to renew our minds. God doesn’t do this for us, nor does it happen automatically when we get saved, it is a lifelong process that requires effort on our part. So how do we go about doing this? How do you renew your mind? I discovered a key a few years ago that has greatly helped me and I believe can help you if you will take time to do it. I will be writing about it in my next blog post, so stay tuned for more! How has toxic thinking affected your choices? Please comment below. Posted on April 6, 2014 April 6, 2014 Categories Christian life, HealingTags beliefs, core beliefs, destiny, renewing the mind, thoughts, toxic thinking2 Comments on Are Toxic Beliefs Derailing Your Destiny?